Organizing Kids Rooms is not as daunting a task as it may seem. Kids rooms are continuous works in progress. They are ever evolving and often disorganized due to the challenges of keeping up with change. Not to mention all the accumulation from gifts after Birthdays, to clothes which change size and style practically overnight! But, if you follow this simple and realistic process, organizing kids rooms will be a snap. Ready? Let's go! Organizing Kids Rooms With Your Child? If you just can't stand another day of your child's messy room, then it is time for Organizing Kids Rooms! 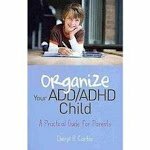 You will need to decide whether your child should be a part of organizing his/her room or if you will be doing it yourself. If your child will be organizing right along with you, you may not agree on some things. It is important to listen to his/her thoughts and feelings and try to find a middle ground. Our goal is to bring some order to this room, not to get it perfect! "Keep It Real" and you will have longer lasting results. If you will be organizing kids rooms without your children, it is vital to take the time to teach him/her/them where things go after the room is organized. It doesn't make sense to get a kids room organized and not have your child know how to keep it that way. You will plan your organizing sessions from these notes. Schedule another half hour to draw up an organizing "blueprint" from your notes. These two half hours will save you lots of time and your end result will be much more effective than if you just plunge in with no plan. Common Sense, yes, but when time is at a premium sometimes we just want to do it NOW! If you jump right in, you may have to stop in the middle and not get back to it before everything is undone. Or you may need to gather containers, hang some shelves or collect boxes and bags. So please, take the time to make a plan! What Goes On The Organizing Kids Rooms Blueprint? Other than furniture, what is in your child's room? Make a column for each of the above categories that apply and add any others. Sort, reduce, relocate, contain, make system for, storage, shelve, refine...whatever you would like to accomplish. It's Easy! Collect any supplies you will need for organizing kids rooms, i.e., boxes for sorting, large trash bags, baskets, labels, markers, etc. If you would like to do something more involved such as put in a closet organizing system or hang shelves, I encourage you to wait until you organize the room's contents before making a decision. Why? Your needs might change after reducing or relocating things. Decide whether you want to organize as much as possible in one day or break it up into sessions. The important thing is to SCHEDULE your sessions. (If you need a scheduling tool, please see Calendars and Planners ). For example, let's say you decide to organize clothes. I can't give you a time estimate because I do not know the amount of clothes you are organizing but do your best to estimate...at least a couple of hours to start. I will share some tips to keep you from having to re-do any organizing if you are unable to complete a session and can't get back to it for a while. Gather everything in one category. Let's use clothes as our example again. Don't forget the clothes in the laundry, back pack and overnight bag. Try to collect it all! Bag up the "Give Away" clothes and put them in the car. Give to relatives or friends (if they would welcome them) or give to a charity. Just be sure to do this as soon as possible to avoid the inevitable...sneaking back into your child's room. Place "Off Season" clothes into boxes or containers and label with Child's Name, Season and Year. Sort the "Keep" clothes into groups, i.e., pants, shorts, skirts, shirts, sweaters, socks, underclothing, sleepwear, etc. If you have a dresser and shelves for these, designate the appropriate drawer/shelf and put away. You CAN further sort by color but in my experience this is not too practical for children's clothes. Does the word "pummel" come to mind? For some of you, just having a place for your child's clothes will be a relief! So let's "Keep It Real". If you do not have a dresser or shelves, or would like to put in a closet organizing system, now is the time to decide what would work best with the amounts and types of clothes you have organized. Be sure to box or contain and label what you have done so far until your system is in place. Put the "Someplace Else" clothes in the hall to be dealt with later. Examples of "Someplace Else" clothes might be save for a sibling, a winter coat, your niece's pj's left from a sleep-over. Any clothes that don't need to be in your child's room qualify. Gather all toys in the room. Limiting the amount of toys in a child's room is the most effective way to keep it from becoming messy. If you have a play room/area, most toys can find a home there. Trying to keep a child's room organized when there are too many toys is frustrating. Choose a few special toys or games to be kept in this room. These should be something your child plays with a lot or prefers to play with in his/her own space such as toys with small parts that younger siblings shouldn't get into. Only "Keep In Room" toys are remaining and now is the time to decide how to CONTAIN them. Do you need shelves, baskets, boxes or totes? Be sure to box these toys and label until you have your permanent containers. Collect your choice of container as soon as possible and transfer them this week. Hint: For most children, teens included, clear, plastic, see-through containers are ideal. They can see the contents at-a-glance before even opening. Whatever you decide to use, MAKE SURE YOU CLEARLY LABEL! You may want storage that is more decorative and fun. You may not want a room full of clear plastic storage containers. In that case, check out Shop for Baby, Kids & Teens at Organize.com for cute but practical storage solutions. Find the containers a home and how you'll easily be able to find things when you need them! That's it for Organizing Kids Rooms. Remember to "Keep It Real" and please don't expect your kid's rooms to stay perfectly organized. Can you settle for just a little more organized than before? Also, check out Shop for Baby, Kids & Teens at Organize.com for a huge selection of decorative storage ideas. You've given lots of time and effort to organizing kids rooms and making them easier to maintain. If your son/daughter did not organize along with you, take the time to show them where things belong. Go From Organizing Kids Rooms To Home Organize It!